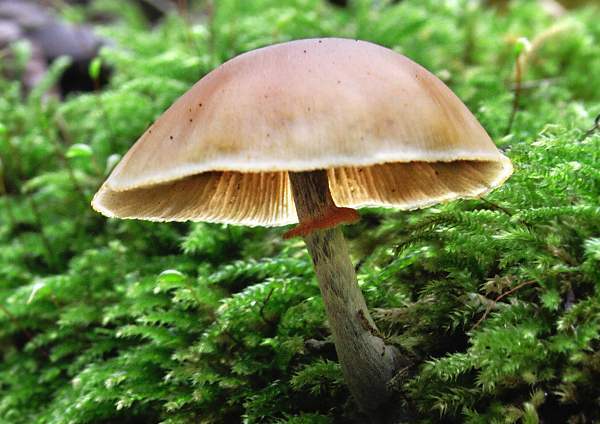 This member of the Galerina genus contains the same deadly poisonous toxins that occur in Amanita phaloides, the Death Cap. The notorious Funeral Bell appears on conifer stumps and occasionally on the stumps of broadleaf trees. Some people gather for food the superficially similar Kuehneromyces mutabilis, nowadays generally referred to as Wood Tuft but formerly more often referred to as Brown Stew Fungus; it is a close relative of the dangerously toxic Funeral Bell and looks very similar. The Funeral Bell is an uncommon but far from rare find in Britain and Ireland, and it is recorded throughout most of Central and northern mainland Europe as well as in Asia and North America. 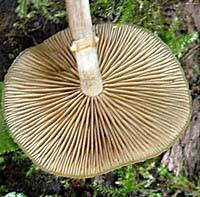 This species was described in 1789 by German mycologist August Johann Georg Karl Batsch (1761 - 18020, who gave it the name Agaricus marginatus (at a time when virtually all gilled fungi were placed into the genus Agaricus, from which most have since been redistributed to other newer genera). The currently accepted scientific name Galerina marginata was established when another German mycologist, Robert Kuhner (1903 - 19960 transferred this species to the genus Galerina. Synonyms of Galerina marginata include Agaricus marginatus Batsch, Agaricus unicolor Vahl, Naucoria autumnalis (Peck) Sacc., Agaricus autumnalis Peck, Pholiota marginata (Batsch) Quél., Pholiota discolor Peck, Galerina unicolor (Vahl) Singer, Galerina venenata (Vahl) Singer, Galerina autumnalis (Peck) A.H.Sm. & Singer, and Galerina oregonensis A.H.Sm. 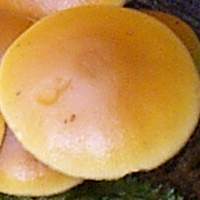 Galerina means 'like a helmet', while the specific epithet marginata means bordered and is a reference to the generally paler (compared with the centre) marginal area of caps of this toxic toadstool. Galerina marginata contains deadly poisonous amatoxins - the same kinds of substances that make Amanita phalloides, the Death Cap, so dangerous. These toxins cause sickness and vomiting followed eventually by liver damage and, if not treated promptly, death. 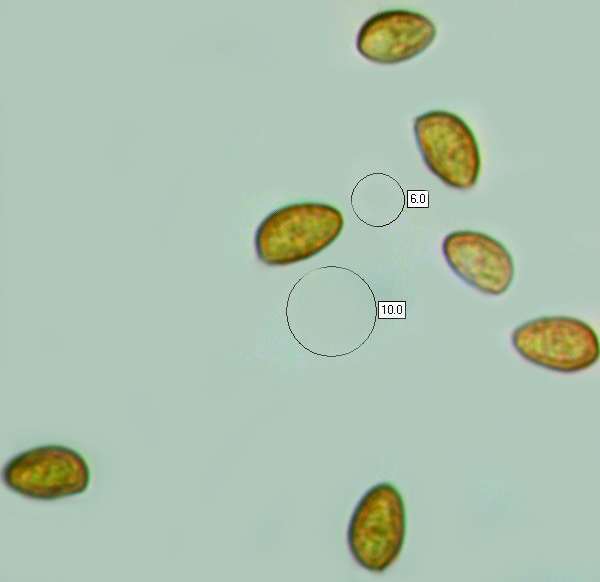 That relatively few people have died as a result of eating this wood-rotting fungus is probably due to its relative scarcity and the fact that its lookalike edible species such as Kuehneromyces mutabilis are not greatly valued by fungiphages (those who gather fungi for food). 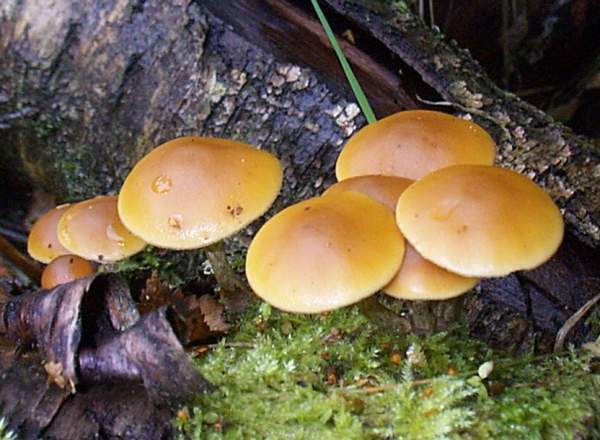 Initially hemispherical and then broadly convex or almost flat, the hygrophanous caps are rufous brown in the centre, fading to honey yellow towards the edge. The margins are sometimes faintly striate. 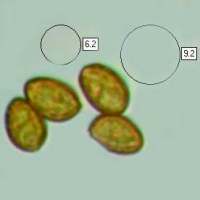 Cap diameter at maturity ranges from 1 to 7cm. The close, pale cream-fawn to ochraceous honey-coloured adnate gills turn slightly rusty as they mature. 2 to 7mm in diameter and 2 to 7cm long, the fragile stems are often curved. Buff at the apex and browner towards the base, the stems are longitudinally fibrilose below a fragile pale ring. The ring sometimes disappears with age. Broadly ellipsoidal, 8-10 by 5-6µm, covered in small warts. 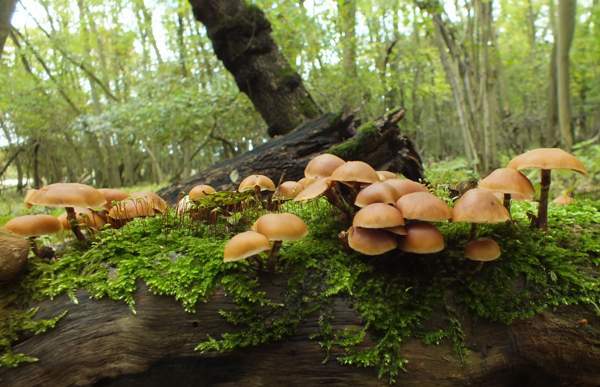 Saprobic, on stumps, dead trunks and fallen branches of conifers and sometimes deciduous broadleaf trees. Kuehneromyces mutabilis, a popular edible mushroom, is similar in size and colour range but usually has a pale cap centre and darker rim and is mainly confined to hardwood substrates; it does not have a mealy smell. British Mycological Society, English Names for Fungi.